If you are movie fans, you will find the soundtrack is even better. 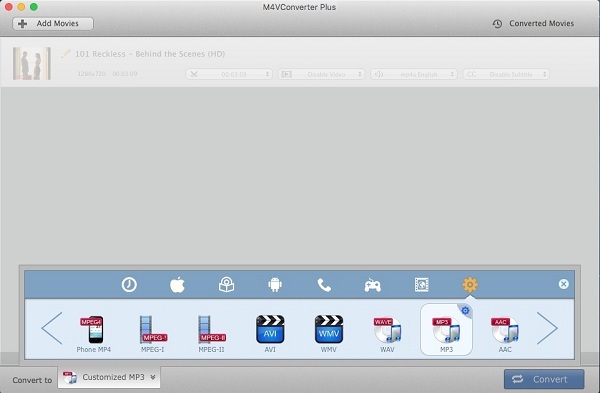 Did you know that you can extract audio directly from iTunes M4V videos and play the audio files without iTunes? If you have a bunch of M4V movies purchased from iTunes and want to extract audio files, don't worry, there are a number of tools available for you to extract audio from iTunes M4V files. Some of them may experience compatibility issues. 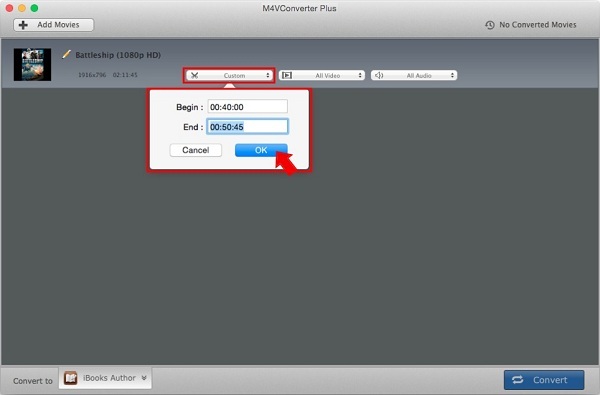 And this tutorial will help you convert iTunes protected M4V videos to MP3, AAC, WMA, M4A and other popular audio files. In this way, you can play iTunes movie soundtracks anytime and anywhere. To extract audio from iTunes M4V videos eaisly, the best way to use M4V Converter Plus for Mac (or M4V Converter Plus for Windows). It is a professional iTunes movies converter which can not only remove DRM protection from any iTunes protected videos, but also extract audio from iTunes videos and save as MP3, AAC, WMA,etc in their original quality. It can finish the conversion at fast speed. How to extract audio from iTunes M4V videos? Following is a step-by-step tutorial for you. Now free download the program and have a try on your own. 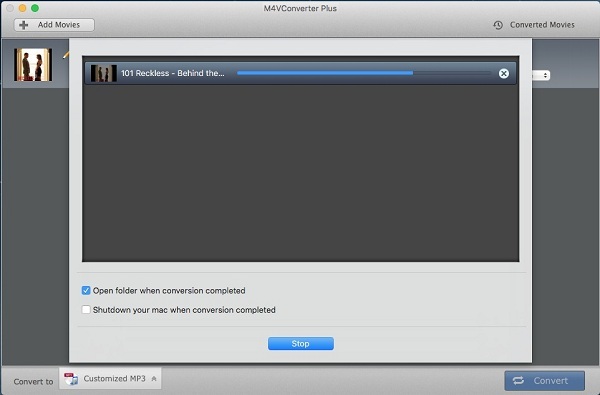 Step 1: Add iTunes movies or TV shows you want to convert. Download, install and open the program on your Mac. 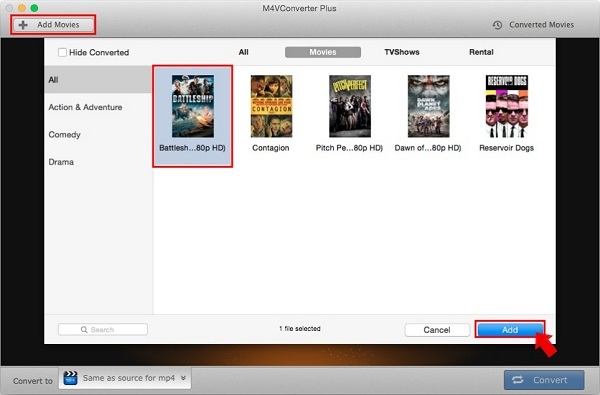 Click Add Movies button to import the iTunes video files you want, then hit Add button. Step 2: Clip big movies into segments(optional). If you want to set the iTunes movie soundtrack as your iPhone ringtone, you can't miss this step. You can click custom option on the added movie to split the large movie into small clips. Step 3: Set output audio formats. This is the most important step. Choose output format in the bottom left of the main window. The profile is classified, you can select devices or formats as you need. If you want to extract audio from iTunes videos, you can choose a suitable audio format like MP3, AAC, WMA, M4R from the Custom Settings option. Step 4: Click Convert to start conversion.